The standard 2.5-liter DOHC 16-valve 4-cylinder engine with Xtronic CVT® (Continuously Variable Transmission) gives the 2017 Nissan Altima 39mpg highway to get you there. Remote keyless entry and a push button ignition simplifies any trip. Own the passing lane in the 2017 Nissan Altima with manual folding heated outside mirrors with LED turn indicators, active understeer control, Vehicle Dynamic Control (VDC), Traction Control System (TCS), and Advanced Drive-Assist® display. The Bluetooth® hands-free phone system and illuminated steering wheel-mounted audio controls has your device paired for the trip. Upgrade the Altima to include a 5.0″ color monitor with RearView monitor and an illuminated USB port. Add on more features to the 2017 Nissan Altima like the steering wheel mounted cruise control and smart auto headlights. Have the 2017 Nissan Altima ready and waiting with the Remote Engine Start System (RESS) with intelligent climate control using Dual Zone Automatic Temperature Control (ATC). Stay safe with the Rear Cross Traffic Alert (RCTA), Blind Spot Warning (BSW), fog lights, and Daytime Running Lights (DRL). Hear the quality of the Bose® premium audio system with 9 speakers, while sitting on leather-appointed seats of the 2017 Nissan Altima, and holding the heated leather‑wrapped steering wheel. 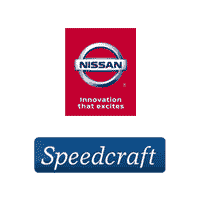 Use the paddle shifters and manual shift mode with sport-tuned suspension and sport spoiler for total control. The Altima has available heated power front seats, 8-way driver’s and 4-way front passenger, making for a comfortable ride. 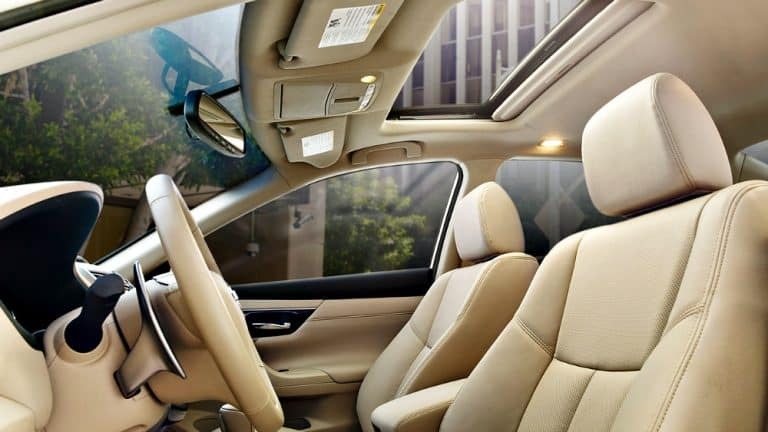 With the premium interior trim and rear passenger air conditioning vents, everyone is looking and feeling cool. The 2017 Nissan Altima is also available with 3.5-L DOHC 24-valve V6 engine, giving it 270 horsepower. Feel the breeze with the power sliding moonroof with tilt function. 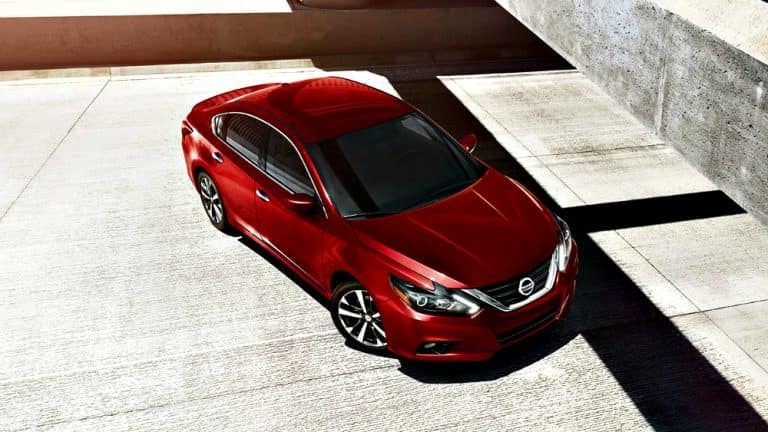 Sitting on 18″ Aluminum-alloy wheels and including NissanConnect with navigation and mobile apps, the 2017 Nissan Altima has a 7.0″ color touch-screen monitor with front and rear sonar system. Use Nissan voice recognition for navigation and audio, plus SiriusXM® Traffic and Travel Link® and become the king, or queen, of the commute. It is easy to see why you will come to expect more from life in the 2017 Altima.